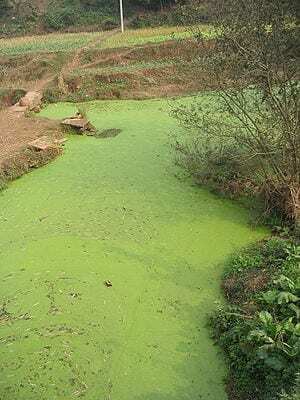 Algae are high on the genetic engineering agenda as a potential source for biofuel, and they should be subjected to independent studies of any environmental risks that could be linked to cultivating algae for this purpose, two prominent researchers say. Writing in the August 2012 issue of the journal BioScience, the researchers argue that ecology experts should be among scientists given independent authority and adequate funding to explore any potential unintended consequences of this technological pursuit. A critical baseline concern is whether genetically engineered algae would be able to survive in the wild, said Allison Snow, professor of evolution, ecology and organismal biology at Ohio State University and lead author of the paper. “If they’re grown in big, open ponds, which is mainly what were talking about, could the newer types of microalgae get out into nature and mingle? We need to know if they can survive and whether they can hybridize or evolve to become more prolific when they get out of a controlled environment,” Snow said. “If they can survive, we also need to know whether some types of genetically engineered blue-green algae, for example, could produce toxins or harmful algal blooms – or both,” Snow noted. And because algae are so small and could be dispersed by rough weather or wildlife activity, biologists worry that any transgenes they contain to enhance their growth and strength could be transferred to other species in a way that could upset a fragile ecosystem. “The applications are new and the organisms are less well-known. They range from being very tame ‘lab rats’ that won’t survive in nature to wild organisms that can presumably cross with each other unless some measures are taken to prevent crossing. It’s a very new situation,” Snow said. Snow co-authored the article with aquatic ecologist Val Smith, a professor in the Department of Ecology and Evolutionary Biology at the University of Kansas. Snow has a history in this area of research. She led a study in 2002 that was the first to show that a gene artificially inserted into crop plants to fend off pests could migrate to weeds in a natural environment and make the weeds stronger. She also has served on national panels that monitor and make recommendations about the release of genetically engineered species into the environment. There are a lot of unknowns about this area of research and development in microalgae, and that’s largely because algae don’t have the breeding history that, say, corn and soybeans have, Snow said. In addition, few details are publicly available because much of this information remains confidential as businesses compete to be the first to commercialize their genetically altered algae. “We’re hoping to reach several audiences – including ecologists, molecular biologists and biotech business owners – and bring them together. There’s a community of people like me who study genetically engineered crops and how they interact with the environment, and we need to get this started with algae. In the same way that certain crop plants are bred with genes to help them repel pests and tolerate harsh conditions, different species of algae are likely being genetically engineered to grow rapidly because mass quantities of these tiny species will be needed to produce adequate fuel supplies. The authors recommend, for starters, a comparative examination of genetically engineered algae strains intended for large-scale cultivation with their natural counterparts to determine the basic differences between the two. They also acknowledged that genetically engineered algae might be equipped with so-called “suicide genes” that would make it impossible for the algae to survive a release into the wild.